The new TV special achievement trophy will be named after its first recipient, Carol Burnett. 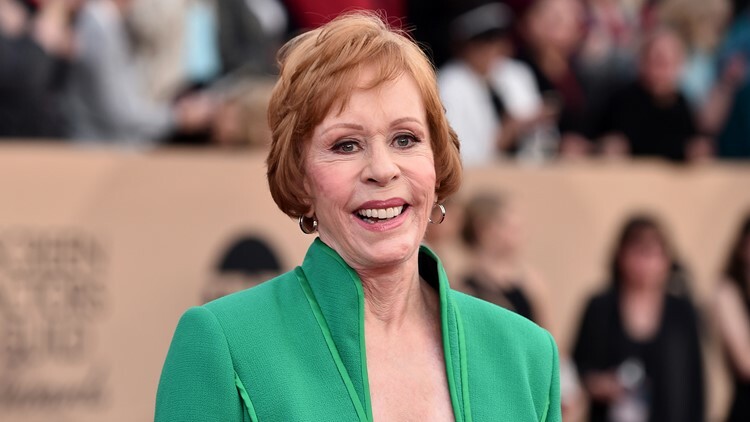 NEW YORK — The Golden Globe Awards will introduce a new TV special achievement trophy during Sunday's telecast and name it after its first recipient — comedic icon Carol Burnett. The Hollywood Foreign Press Association said in December that the Carol Burnett Award — the small-screen version of the group's film counterpart, the Cecil B. DeMille Award — will annually honor someone "who has made outstanding contributions to television on or off the screen." The 85-year-old Burnett will be on hand to accept her namesake award during the Jan. 6 ceremony, live on NBC. Actress Carol Burnett attends the 22nd Annual Screen Actors Guild Awards at The Shrine Auditorium on January 30, 2016 in Los Angeles, California. In a statement, association President Meher Tatna hailed Burnett for breaking barriers while making us laugh. "We are profoundly grateful for her contributions to the entertainment industry and honored to celebrate her legacy forever at the Golden Globes," she said.